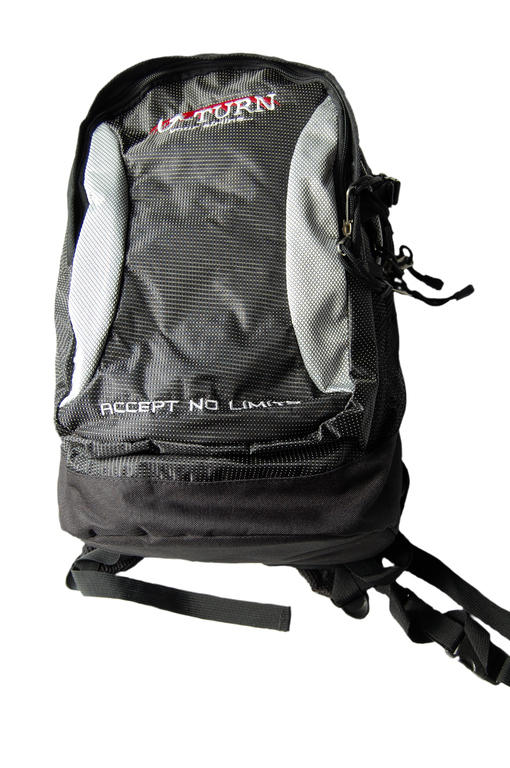 Sac à dos "Jumbolino 2"
So big small can be : the Jumbolino of U-Turn is a well well-thought-out and to maximum comfort designed Daypack. 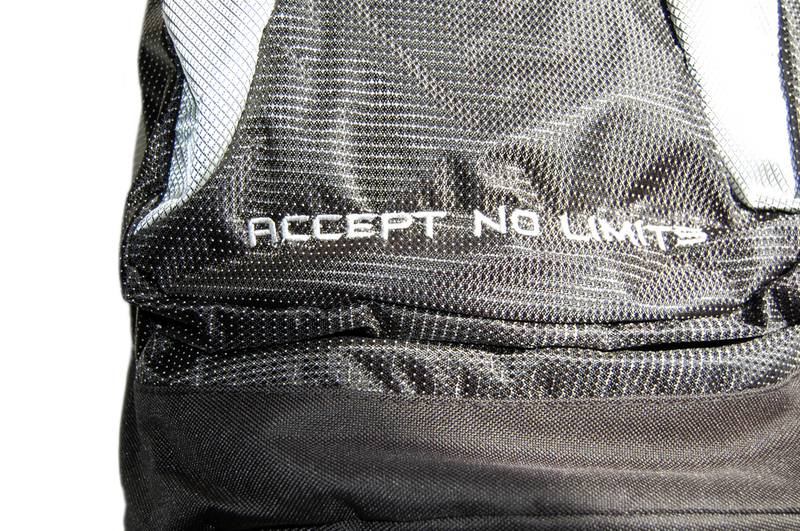 "Accept no limits" the stitched slogan is the program. 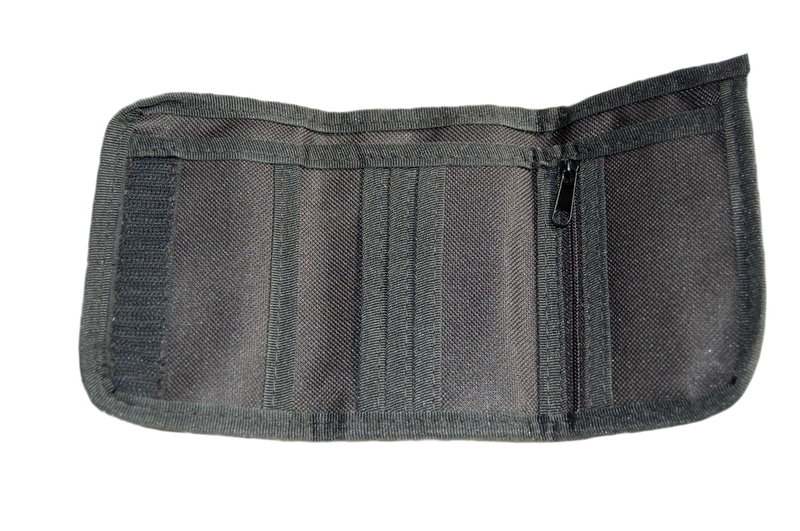 The Jumbolino is made out of high quality material. The silver dotted black areas contrast perfectly with the black rhombus on the silver areas- the turnout is a very noble touch and feel. 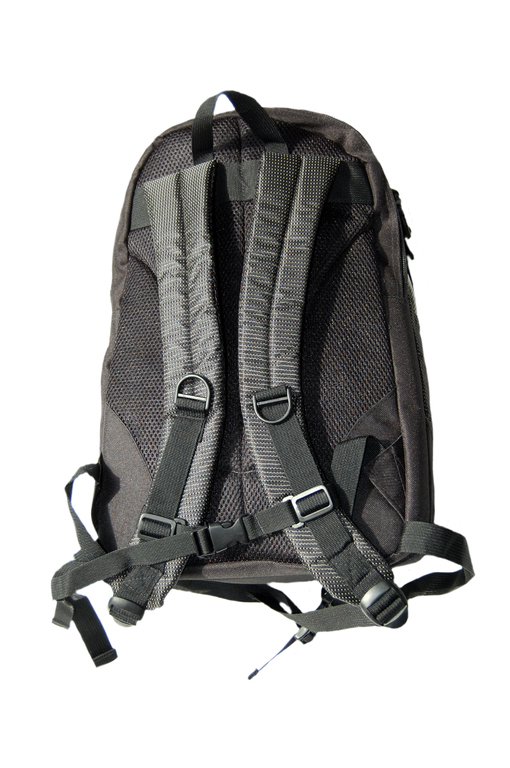 Its functionality fulfills all needs: The cushioned carry straps are widely adjustable. 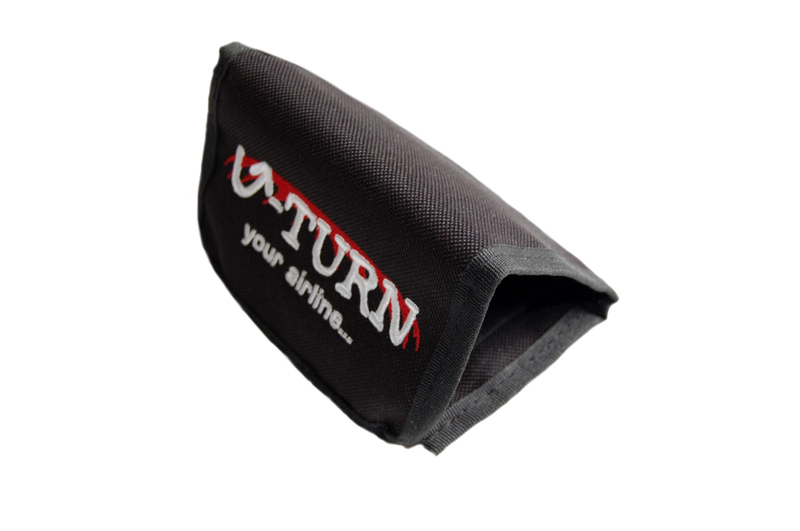 The back is made out of mesh fabric to ensure air circulation and minimize sweating. 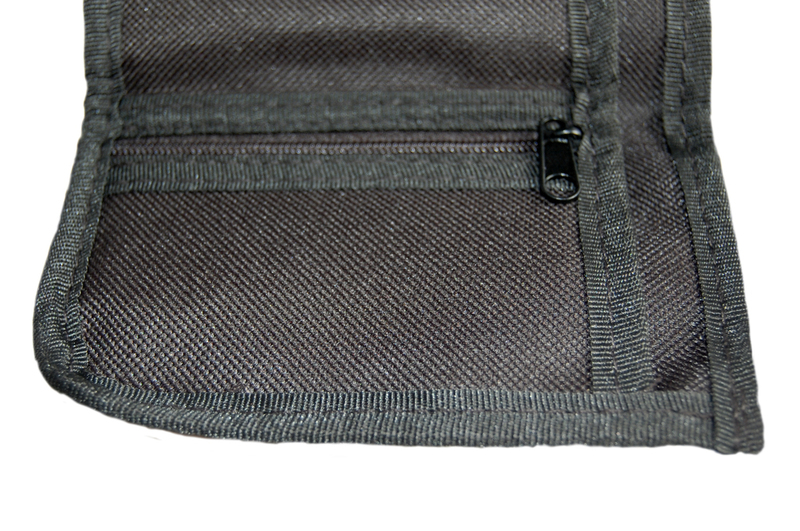 The Jumbolino has two main pockets with a covered zipper, one of the main pockets has another pocket inside. 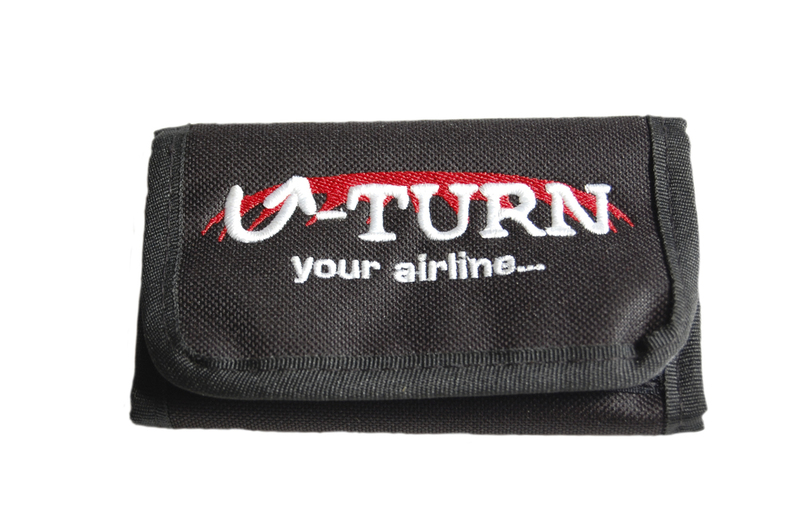 The frontpocket with the elaborate U-Turn logo got two separate inner pockets, a mesh pocket (ideal for smart phones) and finally a separate one with a zipper. 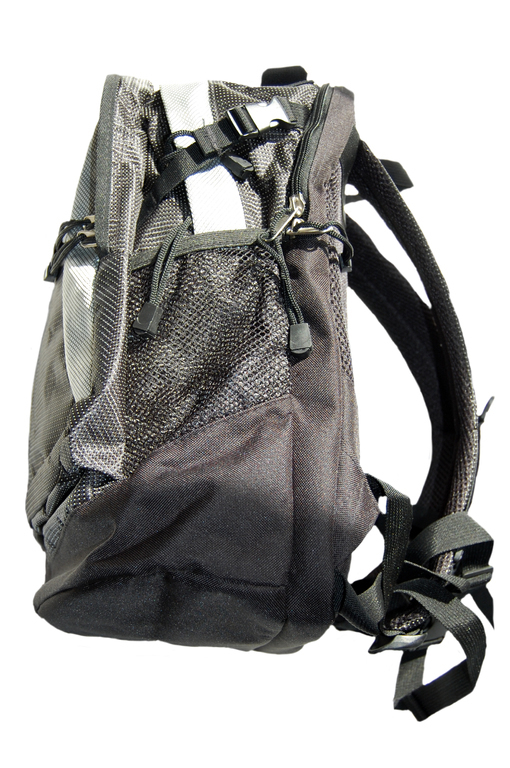 Outside one can store a water bottle, there is a carry handle and a hook up loop on the Jumbolino too. 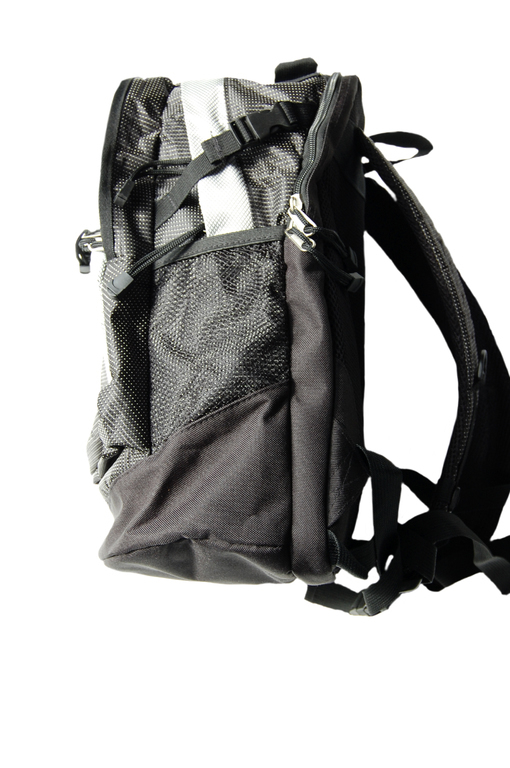 There are compression straps with quick buckles to shape the Jumbolino. 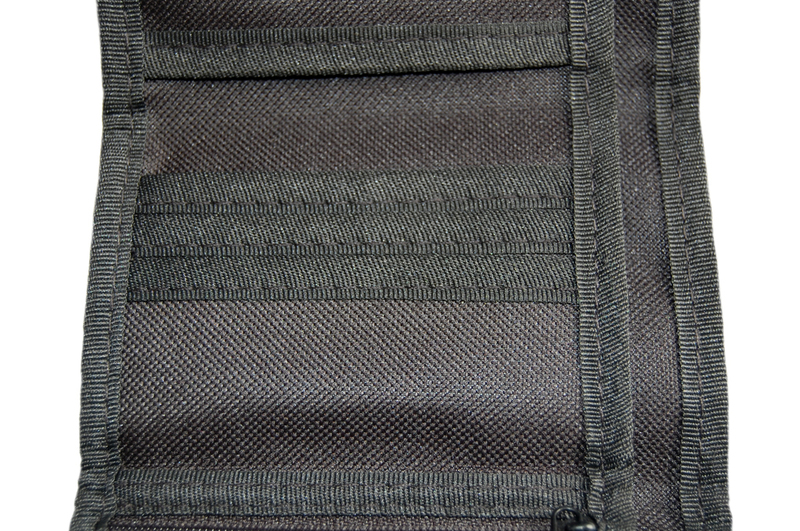 The zippers can be secured by additional loops.